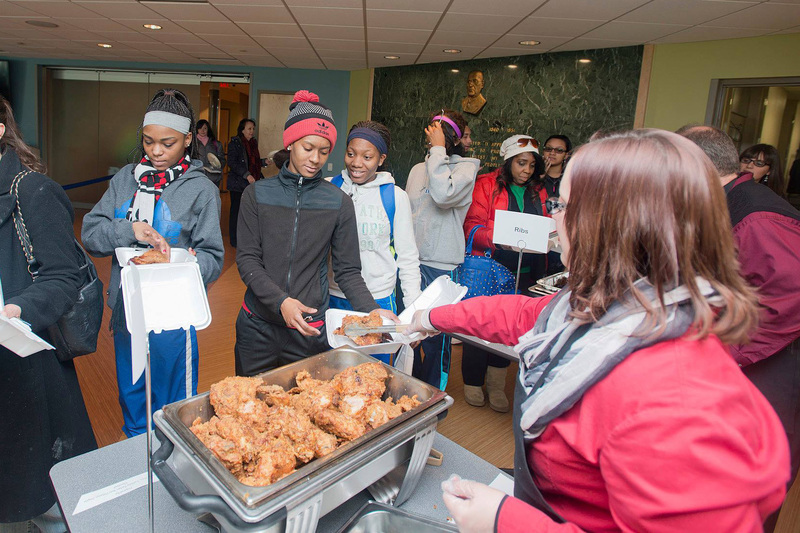 Kellogg Community College’s popular Soul Food Lunch has been rescheduled for Wednesday, Feb. 20, due to campus weather closures. The event will be held from 11 a.m. to 1:30 p.m. in the Kellogg Room adjacent to the Student Center on campus at 450 North Ave. in Battle Creek. The lunch is $5 for KCC students and $10 for KCC employees and the general public, and can be purchased at the door on the day of the event. The event was originally scheduled for 11 a.m. to 1:30 p.m. Feb. 13. This year’s menu – offered on first come, first served basis while supplies last – will include ribs, chicken, jambalaya, macaroni and cheese, greens, sweet potatoes, cornbread, peach cobbler and pound cake. Beverages offered include lemonade, tea and water. New to the event this year is an appearance by Battle Creek singer and community activist Bobby Holley, who will perform in the lobby of the adjacent Binda Performing Arts Center during the lunch. Admission to the performance is included with the purchase of a lunch. The Soul Food Lunch is one of more than half a dozen major community events taking place during the month of February at KCC to celebrate Black History Month, which include a visit to the Charles H. Wright Museum of African American History; a historical reenactment of Phillis Wheatley by Dr. Daisy Century; a movie night featuring the film “The Hate U Give”; and more. For more information about additional Black History Month events at KCC, contact KCC’s Student Life office at 269-565-2634 or studentlife@kellogg.edu.